Link building is one of the most important elements of ranking your website but many businesses ignore the simple, easy to get links they can build. 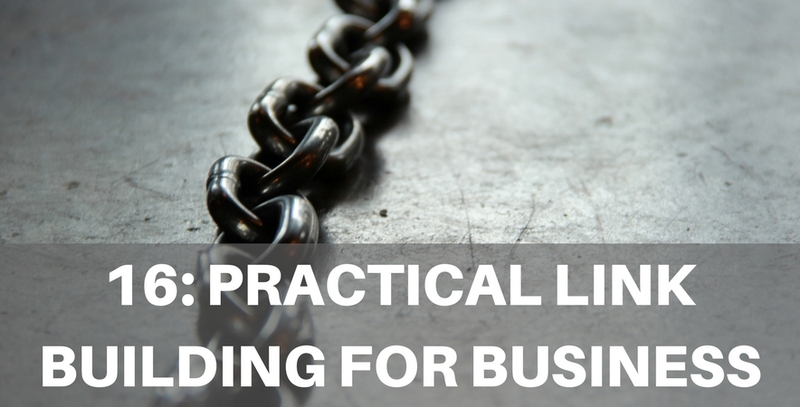 In todays episode, we talk practical link building strategies every business should be doing. Darryl: Welcome to My Bloody Website, the show we'll talk all things online for small and medium business owners or executives who still refer to "their bloody websites." As you know you can find all our previous episodes, show notes, and links to all the resources we mention on these podcast on BloodyWebsite.com easy to remember Bloodywebsite.com Take it to the website you can find all previous episodes, show notes, resources (00:22) Welcome to the show; I’m one of your co-hosts Darryl King. Darry: How are you Edmund? Edmund: hey Darryl; You know it funny uhhh I I wonder if any of our Punters and listeners out there ahh think that Bloody website is a little bit too Swasey; it’s so Australian isn’t it? Edmund: yes or the first link building strategy should do is submit your business to all of the relevant local business directories right? Darryl: what's a local business directories Ed tell me what it’s; I don’t understand what is it? Edmund: their own Yelp you know just do a Google search for top local business directories in your city or your country and no doubt someone would have written about it and listed a bunch of them right just go and list!!!! Darryl: what about fourth topic what's another topic? Darryl: (15:33 is there acronyms in there)?